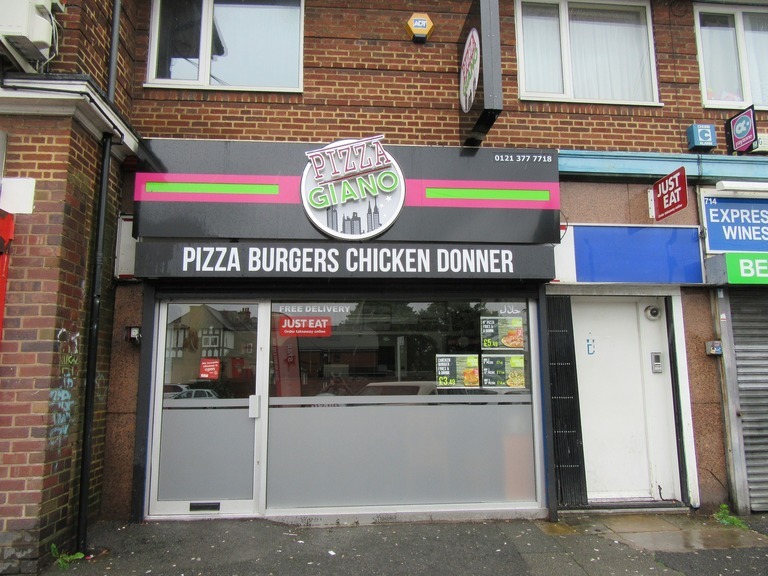 A fantastic investment opportunity: Business for sale Pizza Fast Food Takeaway located on the busy Chester Road, Erdington area of Birmingham. The business comes with all the fixtures, fittings & equipment included in the asking price. Takings £1000.00 approx P/W but can take a lot more with the right marketing methods. Seating - currently seating for x12 covers. Rates - Will qualify for small business rates relief. Come's with - Large Middleby Marshall Pizza oven, cashier till, x4 fridge freezers, double fryer, fries drum, double donner rotater, grill, microwave, x4 tables, single, topping table/unit, large stainless steel sinks & a large extractor fan unit. Great Investment Opportunity for the right person who decides to take over. Call for more details.